Let’s start with a small (but arguably, life-changing) quizz: Which one of the descriptions below applies best to you? (4) You absolutely love energy-consuming, outdoor activities. The reasoning is as follows: if you think (1) & (2) apply better to yourself, you’re probably a “cat person” (i.e., a person who loves cats). But if you picture yourself better in description (3) & (4), you’re more likely to be a “dog person”. At least, according to popular culture. The Internet is flooded with endless debates, derogatory cartoons and very serious, pet-enthusiastic websites, all fiercely arguing the Fundamental Question: Who are better, dogs (persons) or cats (persons)? This is of the utmost importance since it is widely believed that being a dog or a cat person reveals much about your inner self. That’s why it is not uncommon to use this categorization as a way of assessing whether you would get along with a new roommate, business colleague or romantic partner. This popular culture topic has garnered some attention in the scientific realm as well. Let’s consider some of them. In a recent study, Gosling et al. (2010) asked their participants to fill the Big Five Inventory, a validated personality scale, and indicate whether they identified themselves as a dog person, a cat person, both or neither. Results? On average, dog persons were more extraverted, agreeable and conscientious than cat persons. However, cat persons scored higher on openness to experience (curiosity and originality) and on neuroticism (nervousness and emotional sensitivity). Basically, cat persons seem like the creative artist type while dog persons seem more like the outgoing/party-all-night type. Another study found that dog people scored higher than cat people on Social Dominance Orientation (ideological belief that hierarchy and inequality are “natural and desirable”) and competitiveness (desire for superiority over others) (Alba & Haslam, 2014). Somewhat daringly (they’re probably cat persons), the authors suggested that dominance-oriented individuals tend to select more submissive pets (e.g., dogs) as a way tocomplement their own personality. Although statistically significant, the size of these differences is quite small. Thus please do not eye suspiciously all dogs’ owners you will encounter from now on: the possibility that they’re evil, world dominance-seeking individuals probably remains quite low. Apparently, gender differences also appear in pets’ selection. You probably have more typical pictures in mind of the old lady with the dozens (smelly) cats, and the solitary (cabin living) man with the faithful dog – rather than the opposite. Indeed, it seems that women are more likely to label themselves as cat lovers whereas men are more likely to label themselves as dog lovers (Perrine & Osbourne, 1998). And dog lovers of both genders perceive themselves as more masculine and independent by comparison to cat lovers (Perrine & Osbourne, 1998). Thus, cats are primarily associated with “femininity” whereas dogs are primarily associated with “masculinity”.Indeed, scholars have pointed out the seeming overlapping between the “qualities that dogs and men are culturally expected to share (e.g., being hunters, protective, aggressive) and qualities that cats and women are culturally expected to share (e.g., being soft, graceful, uncontrollable, sneaky)” (Mitchell & Ellis, 2013, p.2). Accordingly, when participants were asked to match different individuals with the pet they were more likely to own, women pictures were more often paired with small dogs or cats, while men pictures were more often paired with large dogs (Budge et al., 1997). Our perception of (and judgments about) the persons surrounding us are often influenced by our beliefs or preconceptions about the world. And pets-related judgments are no exception to this: it seems we have “general beliefs about what sorts of people go with what sorts of pet” (Budge et al., 1997, p. 37). And these common preconceptions are based on many different characteristics, gender being only one of them. For instance, a seemingly wealthy individual is more likely to be paired with an expensive dog or cat breed; and older persons are more often paired with smaller pets because of their (assumed) reduced ability to take care of bigger ones (Budge et al., 1997). Thus, if dog persons and cat persons are widely believed to possess different personalities, it probably has a lot to do with our stereotypical beliefs regarding who is more likely to own a dog or a cat – or a turtle, for that matter, although I’d be hard pressed to elaborate on the stereotypical traits attributed to turtle owners (maybe slow, wise and hard-thinking individuals, thanks to La Fontaine’s Fable?). A common belief that has been found to organize much of pet-owners pairings is the one stipulating that owners and pets are psychologically similar to each other; i.e., that they share common personality traits (May et al., 2004). Some studies regarding such psychological similarity between owners and pets have been indeed conducted, offering pretty surprising (and sometimes, frankly humorous) results. When comparing owners’ personality with their dog’s personality (as described by the owner), some investigators have found a great similarity between the two (Turcsàn et al., 2012). Might the owners be simply projectingtheir own personality traits on their dog? This seems unlikely since family members who assessed the dog’s personality gave high similarity ratings as well between the owner and the dog on several dimensions, which rules out the possibility of projection. Apparently, right from the beginning, owners tend to select dogs that they perceive to be similar to themselves. This is not so surprising given humans’ general tendency to be attracted to similar others (e.g., when seeking friendship). The same might apply to pet selection. For instance, it has been shown that owners of “aggressive” dog breeds (e.g., Rottweiler) scored higher on “psychoticism” than “non-aggressive” dog owners; and this is meaningful since psychoticism is usually associated with a tendency toward “anger, hostility and aggression”; Wells & Hepper, 2012, p.772). Thus, people with more aggressive tendencies seem to choose dogs that are perceived to be aggressive as well. Of course, let me emphasize (before bearing the wrath of all Rottweiler’s owners out there) that allRottweilers are not necessarily “aggressive”; these are (stereotypical) beliefs. 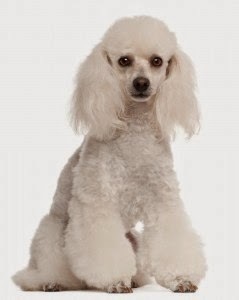 Indeed, not all dog breeds are perceived the same way: whereas Poodles are seen as spoiled (maybe a side effect of the ponytails ? See fig. 1), Bulldogs are primarily perceived as lazy, Collies (remember Lassie?) as heroic and Chihuahuas as nervous (May et al., 2004). Look at the above picture of a Poodle for instance. What is the first image of the likely owner that popped in your mind? Is it more along the lines of a wealthy young (spoiled) individual or that of a loan-indebted Anthropology student? This is pretty much the task used by May et al. (2004; study 1) in their study. Their participants saw dogs’ pictures (of different breeds) next to pictures of individuals who were (falsely) claimed to be the dogs’ owners. In a later task, participants were asked to rate the “owner” on several traits. Results are quite surprising: the alleged “owners” were perceived as possessing the trait typically associated with the dog breed that they were previously paired with. So the same individual appeared friendlier when believed to own a Cocker Spaniel (fig. 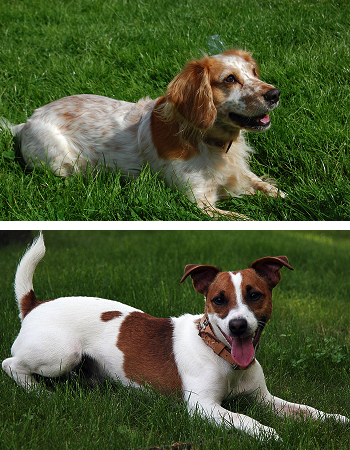 2, top picture) but more intelligent when believed to own a Jack Russell Terrier (ig. 2, bottom picture). Both dogs’ owners and non-owners participants fell prey to this “dog bias” in impression formation. How can the mere presence of a dog change the perception of its “owner”? According to the authors, this is a case of spontaneous trait transference: an automatic, associative process in which the characteristics associated with a specific individual (specimen of a breed) gets transferred to another individual (the owner) who happens to share the same environment. These results are particularly interesting as it means that detrimental effects might result sometimes, if association with a negatively perceived pet stigmatizes its owner. Of course, this could go the other way around: association with a positively perceived pet might enhance the owner’s public image. Taking these findings into account, if cats and dogs persons seem so different from one another, it may be partly related to the fact that they are paired with different species (from which different characteristics are expected). Indeed, since we believe owners are similar to the pet they own, we may be quick to infer that dogs’ owners for instance possess the same characteristics that are typically associated with the dog species in general (e.g., being noisy, liking outdoor activity, loyal, etc.). On the contrary, we would readily expect cats’ owners to share characteristics typically associated with cats (e.g., being aloof, autonomous, liking indoor activities, etc.). – folk theories regarding pet-owner compatibility (e.g., “Some pets are better suited to some kind of personalities”). Consequently, this allow to infer what kind of pet one would get along better with (e.g., “I am probably a dog person”). Once the label of this perceived distinct category (“dog persons”) is applied to oneself, it’s easier to identify with (or even develop) the characteristics other members of the same category are believed to display. This will in turn perpetuate the stereotype, since every time outsiders will encounter dog or cat persons who fit the stereotypical profile, it may strengthen their belief in the existence of innate personality differences between dog and cat people. In sum, it seems that even inconspicuous topics such as pet-related perceptions and pet-owner relationships can be far more complex than readily expected. Earlier studies mostly searched for personality differences between owners of different pets species or breeds, thus sometimes overlooking the crucial role of beliefs and stereotypes in these matters. 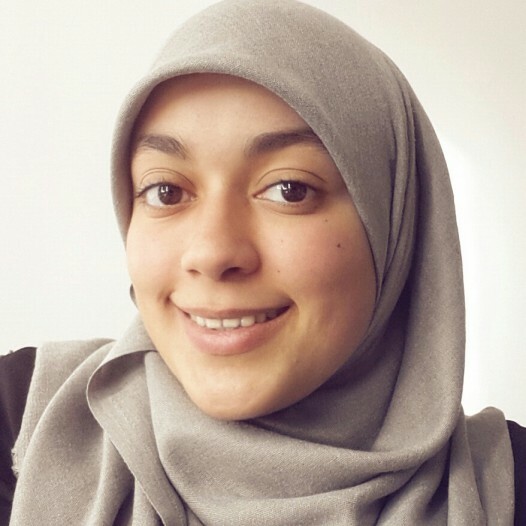 However, this blog post took a different outlook and focused primarily on social psychological mechanisms underlying pets and owners-related perceptions, although further research (cross-cultural in particular) is still somewhat needed in this field. In any case, if you’re curious about whether you are a dog or cat person, check out one of the numerous (and funny) personality tests that pet enthusiastic people have charitably crafted: Click here: the way to the truth about your inner self. 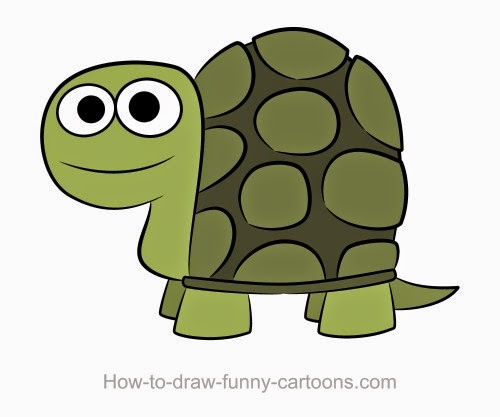 Also, I do apologize to all self-identified turtle lovers, as it seems the only turtle personality tests available so far are specifically related to the Mutant Ninjas Turtles – which admittedly may not be all that helpful. Alba, B., & Haslam, N. (2014). Dog people and cat people differ on dominance-related traits.Anthrozoos: A Multidisciplinary Journal of The Interactions of People & Animals. Budge, C. R., Spicer, J., St George, R., & Jones, B. R. (1997). Compatibility stereotypes of people and pets: A photograph matching study. Anthrozoos: A Multidisciplinary Journal of The Interactions of People & Animals, 10(1), 37-46. Gosling, S. D., Sandy, C. J., & Potter, J. (2010). 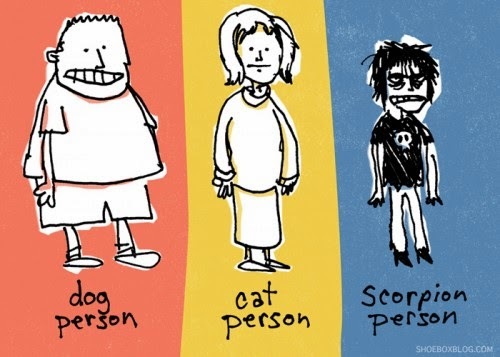 Personalities of self-identified “dog people” and “cat people”. Anthrozoos: A Multidisciplinary Journal of The Interactions of People & Animals, 23(3), 213-222. Mae, L., McMorris, L. E., & Hendry, J. L. (2004). Spontaneous trait transference from dogs to owners. Anthrozoos: A Multidisciplinary Journal of The Interactions of People & Animals, 17(3), 225-243. Mitchell, R. W., & Ellis, A. L. (2013). Cat Person, Dog Person, Gay, or Heterosexual: The Effect of Labels on a Man’s Perceived Masculinity, Femininity, and Likability. Society & Animals, 21(1), 1-16. Perrine, R. M., & Osbourne, H. L. (1998). Personality characteristics of dog and cat persons.Anthrozoos: A Multidisciplinary Journal of The Interactions of People & Animals, 11(1), 33-40. Wells, D. L., & Hepper, P. G. (2012). The personality of “aggressive” and “non-aggressive” dog owners. Personality and Individual Differences, 53(6), 770-773. Le pouvoir des femmes est-il l'antidote aux violences conjugales?